Recently I gave printing some MMS compatible arms a try. I learned quite a bit! The wrists turned out amazing, they can hold Gabby's bracer on with ease. The upper arms ended up too loose however. Need to try again. Hand nice and snug! Maybe the wrist needs to be a bit thinner. And I think it would help if the ball joint was wider; one came out nice and tight, the other one is a little looser. Good enough to fight gravity, though. Not good enough to hold Arnval's lazier cannon thing. Would any of you be interested in buying these if I fixed the issues? Shapeways printed them for me for 4$ (and 8 shipping, ouch). 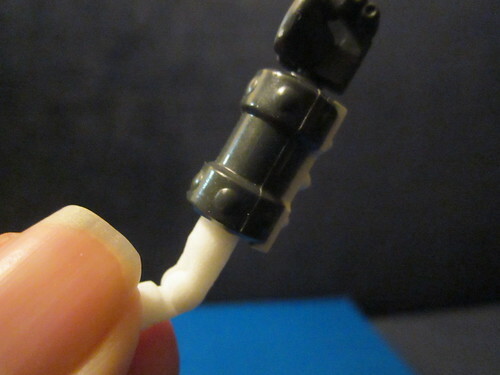 I want to do legs next but the calf connector is complicated enough to make it a chore. Re: 3D Printing a 1:12 scale doll. The White Strong and Flexible material would work pretty okay for hands, but I need to find a way to print joints that remain tight, even after minor wear. Maybe I could use the latex coating trick I've seen on here. That's awesome. I've been looking into customizing since the line died... too soon I just never had the time, it's enough to sculpt but the painting is hard. Worth it, but big learning curve. I think a wide variety of hands would be your best shot at actually making some money. 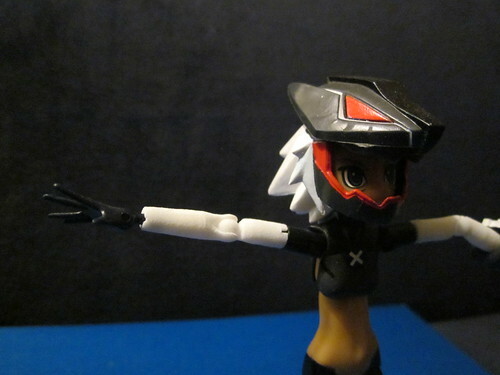 While shinki's come with different hands already, there will always be some hand positions that will be wanted, make them compatible with other line's weapons, like Gunpla or GI Joe or other action figures, and give them alternative positions to the pre-existing ones. However, hands are the most difficult to model, so your next best bet is to come up with a bunch of different shoes or something. or you could make full bodies and sell them as nakeds, those would sell like hotcakes! but again, not easy to model. regardless, you'll have to come up with either full bodies, replacement parts, or alternate parts/armors to actually sell, just making printed limbs is cool, but not likely to sell especially well. If you could model up the two bike girls armors that konami designed, prototyped, and never released, that would be awesome! i'd buy that in a heartbeat! but it'd be a huge project. 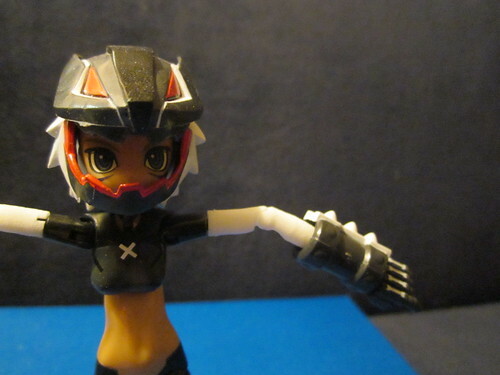 anyway, cool idea and good luck with the joint issues, shapeways isn't great for tight joints. I'd Be interested. 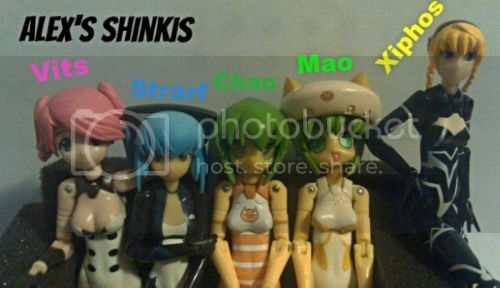 I have always wanted to replicate a full Shinki's but i'm still having problems making molds for the the easy parts (face,hair, ball joints). Not to necropost, but I'm trying to ask around for anyone who has or might be able to 3D print a pair of default feet for a MMS 1st body. Anybody? Bueller? I'm working on that now. Please stand by. Hot dog! Sold, thank you very much! I measured all of the connection sockets carefully, so they should be quite accurate, but if there's any tightness issues, perhaps because of the material, please let me know so I can consider options. EDIT: I'm really sorry, for this, but I didn't realize the polished and detail materials weren't available for purchase... I'll be adding those shortly, for anyone else interested. Be careful- Shapeways plastic is kinda brittle. Also it hhas a kinda chalky finish unless you sand it really well. There is a much smoother material, but it's REALLY fragile.